Something "very very serious" seems to be going on in West Bengal, the Supreme Court said Friday as it agreed to hear a plea alleging harassment of custom officials at Kolkata Airport for checking the luggage of a Trinamool Congress leader's wife. The top court asked the West Bengal government to file its reply on the plea within four weeks. A bench of Chief Justice Ranjan Gogoi and Justice Sanjiv Khanna said: "Someone has drawn our attention to something very very serious. We don't know yet whose claim is bona fide but we would like to go into the root of the matter." 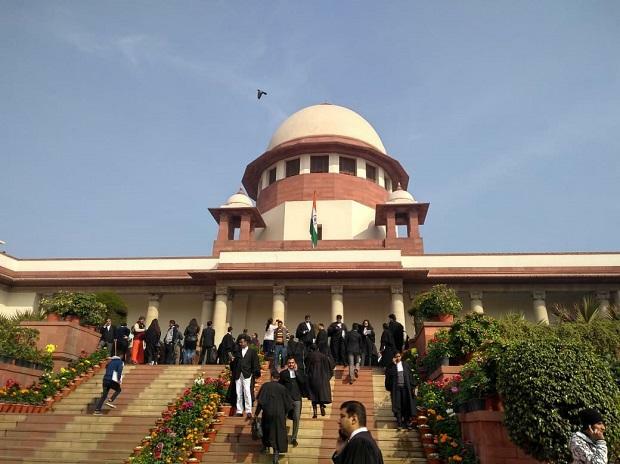 Solicitor General Tushar Mehta, appearing for the customs department and assisted by advocate Ravi Prakash, told the bench that the plea pertains to the incident of March 15-16 when customs officials were obstructed from carrying out their duty. The obstruction was caused to the officials, when two women including one Rujira Naroola Banerjee, wife of Abhishek Banerjee who is TMC MP and nephew of Chief Minister Mamata Banerjee, was intercepted at the airport for checking. Senior advocate Abhishek M Singhvi objected to the issuance of notice and said that the petition is not maintainable as the petitioner Rajkumar Barthwal is a member of Central Board of Indirect Taxes and Customs and has no locus standi to file the plea. To this, the bench observed that it does not know the bona fide of the petitioner but "We cannot ignore what is going on in West Bengal. If required we can ourselves take suo motu cognizance of the events and get to the bottom of the issue". On March 29, the Centre had told the apex court that custom officials at the Netaji Subhas Chandra Bose International Airport in Kolkata were "intimidated, harassed and threatened" by the local police for checking the baggage of the wife of the TMC MP. It had also alleged that "institutional anarchy" and "complete lawlessness" have been prevailing in West Bengal. Mehta had told the court that on the intervening night of March 15-16 at around 1.10 AM, two women, who arrived from an international flight, and their luggage were checked by the custom officials. "They were asked to allow checking of their baggage but they resisted. They were asked to show their passports after which they abused the officials present there," he had said. Mehta had added that soon after the ladies left the airport, a huge contingent of police personnel entered the premises and tried to arrest the custom officials for checking the baggage of the women. "This is institutional anarchy and complete lawlessness going on in West Bengal," he had said, adding that custom officials tried to lodge the FIR but no case was registered by the police so far. A letter was written by Assistant Commissioner of Customs to Inspector in-charge of Airport police station on March 22, seeking registration of an FIR for interfering, obstruction and criminal intimidation by the West Bengal police, he had said. The custom commissioner has narrated the entire incident and said that one of the ladies whose baggage was checked was wife TMC MP, the nephew of the West Bengal CM, as per the letter. The Commissioner alleged that police officers who entered the airport in different batches tried to intimidate, harass and threaten the custom officials with arrests. The commissioner has said that West Bengal police wanted a Standard Operating Procedure (SOP) by the custom officials where VIPs were not "checked" and "a safe passage of their VIPs without any interception by customs". Police personnel, who arrived at the airport, have claimed that they have received a complaint from one of the two women who were checked by custom officials alleging harassment, intimidation and extortion by them, the letter said.